This week Anne Powell participated in a panel discussion on recognizing biases and blind spots in improving diversity and inclusion in scholarly publishing at an SSP meeting before the Academic Publishing in Europe conference. In this post she shares some of what she spoke about the needs of Southern researchers and gives some practical recommendations for how people who work in the publishing industry can help. Climate change is disrupting rice growing in Nepal. Left unaddressed, yields would be low and crops would die. This may not be a priority for many researchers in Europe or of particular interest to European journals. 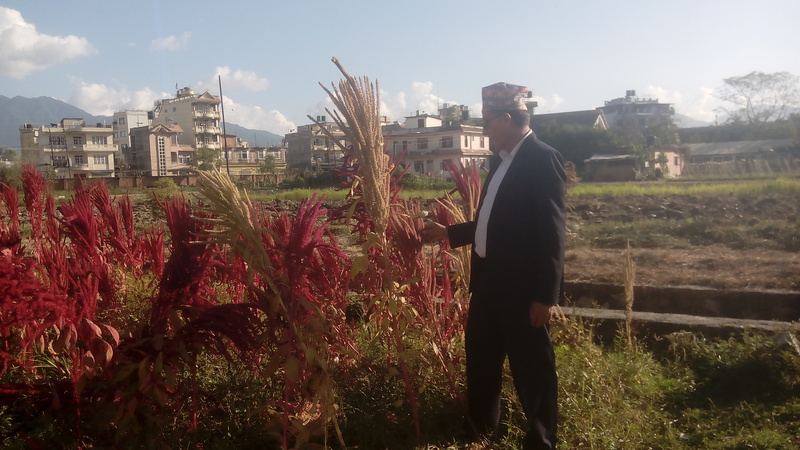 But it is a research priority in Nepal and an agricultural approach to combat this problem was recently published in a Nepalese journal. And, in fact, it does matter to everybody – to people in Nepal for whom rice is an important source of food but also to people worldwide who eat rice – and to everyone committed to addressing the many problems facing the world today. 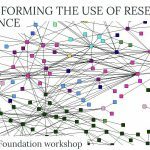 Today, research communication globally is dominated by the choices and priorities of a few big players – universities, publishers and research funders in the USA, western Europe, Japan, China … But priorities and needs vary around the world and research systems vary from country to country. We have seen important and substantial investments in research and knowledge systems across the South but, as INASP and partners have been hearing about in a recent series of dialogue events in Uganda, Bangladesh and Ethiopia, many inequities remain. There are obvious gaps between countries and continents in, for example, where the majority of the world’s journal papers are published – and these are issues that are regularly analysed in the global publishing sector. However, there are some more subtle differences that were a surprise to some of the people I spoke to at this session but that are significant in understanding how far interventions go towards really tackling inequality in research systems within countries. For example, often funding for research from international donors can end up largely in the universities in capital cities or concentrated in particular research fields and women are often disadvantaged in academic research compared with men. There are also many remaining inequalities in terms of information access, especially for researchers outside of academia, and this will be the subject of a more detailed post in the coming weeks. Do business responsibly – Several years ago INASP produced our Principles for Responsible Engagement, a simple guide for publishers in dealing with libraries in the Global South that, at their heart are about recognizing and responding to the situations libraries are faced with. Recognize that contexts vary – Building on the principles in the first point, it’s important to recognize that research systems vary around the world – focus/topics, outputs, key players, who sets the agenda – and that there is often not one “right way” of doing things and replicating Northern systems is not the end goal of Southern systems development. Provide support – At an individual level, our AuthorAID project is always looking for volunteer researchers and editors who can provide mentoring to early-career researchers as they write up their research and navigate the publishing process. And we are also now looking for experienced journal editors who would be interested in providing mentoring to other editors or act as online course facilitators in our online journal quality course. At an organizational level, talk to us about partnering on pieces of work. 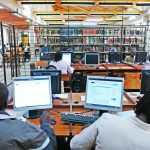 For example, several publishers, particularly society publishers, have run research writing courses in the Global South in their disciplines using AuthorAID resources. Help increase awareness – Another important step is continuing the current trend of including discussions about inequity challenges in the programmes of global conferences. At INASP we are encouraged that we now get more requests than we can handle to participate in or suggest speakers for such meetings. However, don’t just talk to us; look to your own library customers and author base for potential speakers. And be aware that usually money for travel and accommodation will be a significant challenge, and that getting visas is usually more complicated. Ask for contributions to your newsletters and internal information sharing mechanisms such as webinars. If you have any questions or would like to discuss ways of working with us to address these challenges please get in touch, via the comments below or speaking to anyone on the INASP team.